These words from Paloma Escudero, UNICEF Director of Communications, demonstrate the commitment that they are making to the goals becoming a real tool for change in children’s lives. The evidence of this is already being seen as the World’s Largest Lesson has been shared in 160 countries around the world! This amazing global reach would not have been possible without UNICEF, the founding partner for the initiative, with an incredible history, credibility and visibility in all corners of the world. This post highlights just a few examples of the depth and scale of this partnership. 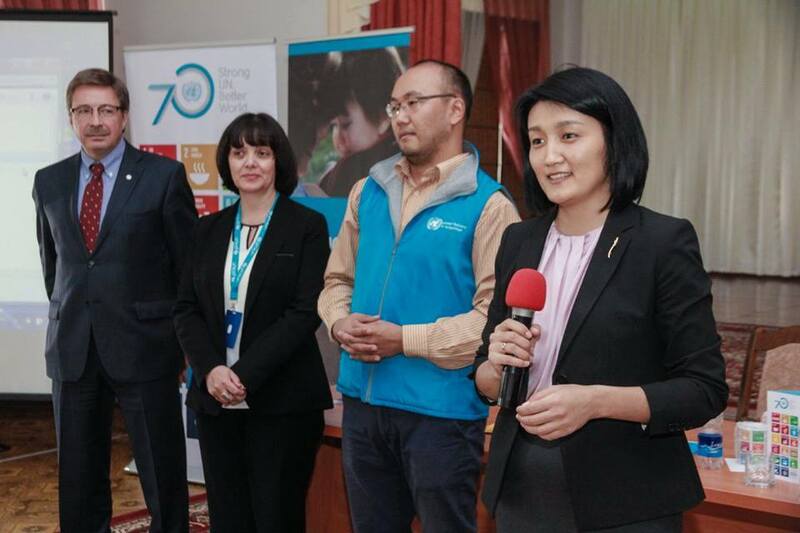 On October the 5th, International Day of Teachers, Kyrgyzstan students were able to take part in the World’s Largest Lesson with a presentation by Minister of Education Ms. Elvira Sarieva, UN Resident Coordinator Mr. Alexander Avanessov and UNICEF Deputy Representative Mr. Raoul de Torcy. UNICEF were also able to produce their own pencils, notepads, mugs, and other teaching supplies with the seventeen Global Goals featured on them as a gift and reminder for the students that took part. Through their relationships in the country UNICEF brought together the event and speakers, which made the launch moment a nation wide event. “You are the future world leaders” Marc Rubin UNICEF Burkina Faso representative on the Global Goals in Nièga, Ganzourgou, Burkina Faso. UNICEF has well-established networks throughout Africa, which enable their work to continue through complex and turbulent political times that some countries suffer. 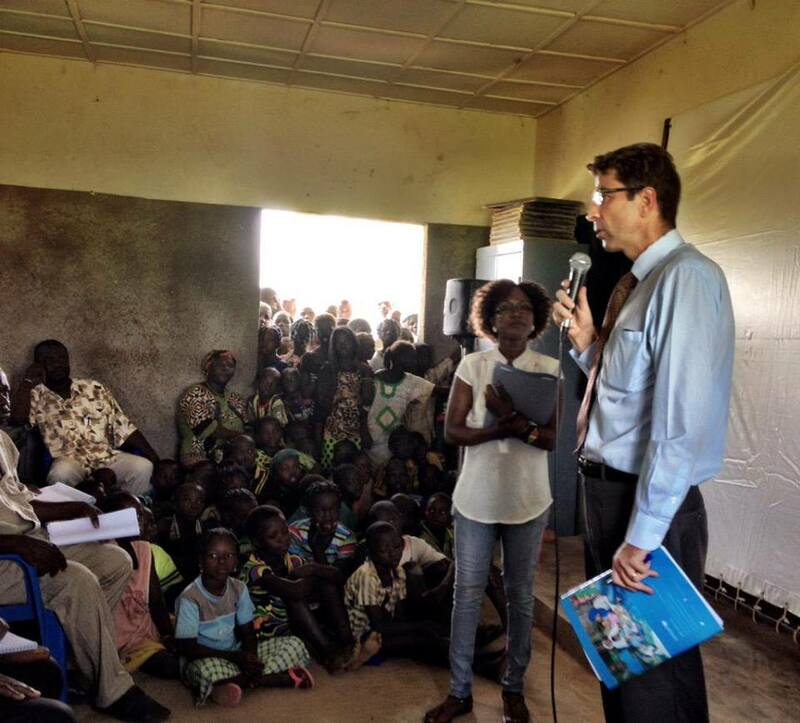 For the World’s Largest Lesson, UNICEF was able to access schools in Burkina Faso, despite the current crisis and ensure that students knew about the Global Goals. This allowed students to keep up to date with the rest of the world on the Goals and hopefully provide some encouragement to follow them when the country can hopefully return to stability in the near future. The lesson also provided students with a chance to talk about peace and justice, thus learning more about the world’s commitments to ending conflict. A special lesson was shared by UNICEF in a number of schools here. Children responded with enthusiasm and embraced the idea that they too should feel responsible for looking after their environment and creating change where they think it is needed. This wonderful film here really does say it all. The Global Goals are universal, 192 countries have agreed to them. The World’s Largest Lesson reflects this approach and was taught in school across world, regardless of nationality or prosperity. Europe provided its own challenges and UNICEF helped to guarantee maximum reach into schools in Europe. The multitude of languages and governments, each with their own curriculum and often more than one ministry of education per country meant challenges were faced in trying to get the lesson integrated into school plans. But UNICEF, with an office in each country, were able to help us to overcome this. Lessons were held across Europe and UNICEF sponsored several unique lessons, from Belgium to Ukraine. They also organised ministerial visits, as seen in Ireland and coming up in Scotland on November 6th. UNICEF were also able to include the Global Goals into existing programs, the UNICEF Junior Officers in Slovenia were given a unique presentation for the World’s Largest Lesson. 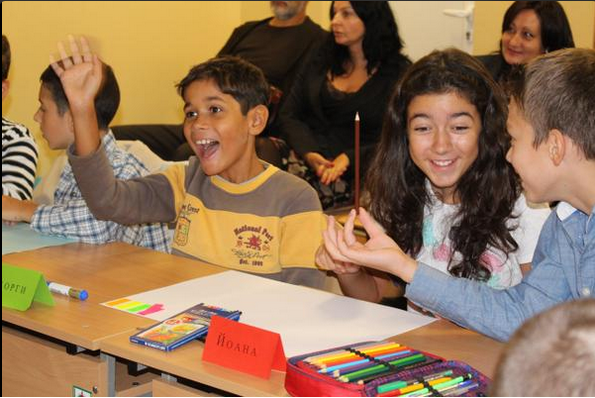 This lesson in Bulgaria was led by their UNICEF country office. Quite simply, UNICEF was able to expand the influence of the World’s Largest Lesson far beyond what would otherwise be possible. It just shows the power of goal 17 – Partnerships for the Goals!